Eating foods that keep you energized during the workday can go a long way in making you more productive and satisfied in both your work life and social life. Lack of energy could be detrimental to how well you perform your tasks in the workplace. Failing to eat foods that keep you energized can make your workday feel longer, and leave you feeling drained and run-down. The quantity and type of food that you eat has a direct relationship on how energized and alert you feel during the day. All foods can help you gain energy, however there are some foods that consist of nutrients that help increase and maintain high energy levels. 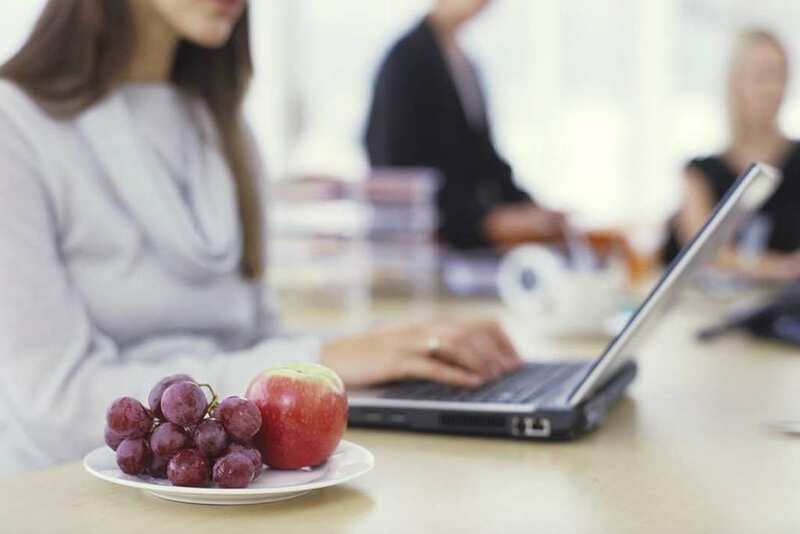 These foods thereby help you maintain a higher level of focus and alertness that is required during work. The following are foods that will help you maintain high energy levels. Proteins are macronutrients, just like fat and carbohydrates, You need proteins to stay healthy over time. Ensuring your diet contains enough proteins could be a good way to ensure that you are revitalized each day. Proteins form a critical part of the energizing foods regimen because they help repair the body after it’s worn out due to long work schedules or hefty tasks. The body does not have a protein reservoir. As a result, eating your proteins early on means that you will have enough proteins to keep your body rejuvenated. A rejuvenated body means that you have optimal energy levels to keep you going through the day. Proteins should be the first on the list of foods to keep you energized during the workday, and should be eaten early in the day. The intake of proteins should also be regulated during the morning and evening meals. Foods such as nuts, yogurt, eggs, tuna, shakes and protein bars are excellent sources of proteins. Fruits such as bananas are ideal for keeping your energy level up. Bananas have a lot of nutrients and health benefits, making them an important part of your diet. Bananas make great snacks and smoothies and contain high levels of potassium and B6, which together contribute to raising your energy levels. Eating a banana will help improve your endurance as well. The glycemic index could be a vital tool in determining the rate at which the food you eat is converted to glucose. If you eat foods with high glycemic index, there is a chance that you will feel run-down and drained during the workday, because of the fast conversion of the foods into glucose. White rice, white bread and some cereals fall in the category of foods with high glycemic index. On the other hand, foods that are low on the glycemic index are slowly converted to glucose, ensuring that your body gets the energy refills it requires as the day progresses. Foods that are low on the glycemic index include nuts, whole grains, milk, and eggs. These foods are converted to glucose at a slower rate, giving you energy for longer periods during the workday.